For a game with friends after a day in the mountains and a stop at an alpine shelter, visitors can take advantage of our 5-a-side football field with natural turf, adjacent to the hotel. Possibility to book clay or synthetic grass tennis courts. 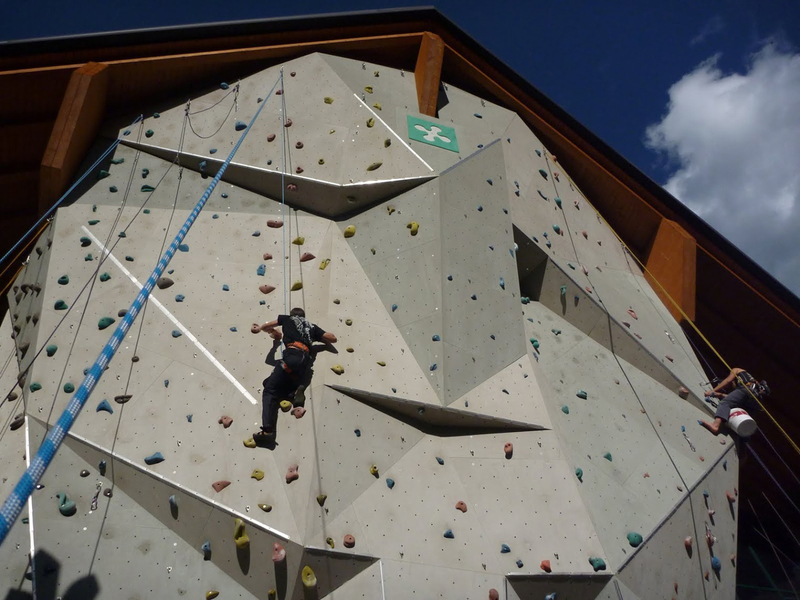 Just a few kilometres from Ponte di Legno and from the Garnì Pegrà Hotel, visitors have the opportunity to experience unique emotions enjoying the most thrilling extreme sports at an affordable price. Rafting: Have you ever wanted to try the unique experience of flowing down a wild river in complete safety? Rafting is an exciting activity that can be enjoyed by everyone. What’s more, it does not require specific courses or skills in order to immediately tackle the rapids of the river while taking all possible safety precautions. Visitors have the opportunity to go rafting in the company of their friends on the waves of the Noce river (Sole Valley, Trentino) accompanied by expert guides. The clothing required for an exciting rafting adventure consists of a bathing suit or shorts, sneakers, fitted long-sleeve or short-sleeve shirt, beach towel or bathrobe. Once the adventure is over, guests can enjoy a shower in our comfortable changing rooms. Rafting descents can also be booked individually, thus completing a crew with other participants. Participants must be at least 5 years old and accompanied by a parent. Hydrospeed: you and the river. The force of nature, the spirit of adventure, the rush of adrenaline in a whirlwind of emotions that will ensure that you return home changed by this new experience. If you love fishing, the Adamello Events Centre located in the municipality of Vezza d’Oglio, in the upper Camonica Valley is home to the E.U.F.F. (European Union of Fly Fishers) headquarters and Lodge, the fly fishing centre. Located on the edge of the Oglio river in the midst of the famous Stelvio and Adamello Parks, the centre can be considered a perfect logistic point for enjoying the many fishing trips offered by the upper valley. In the vicinity, a small lake dedicated to fly fishing has been created, allowing visitors to enjoy fishing in the Lake, as well as providing basic and advanced courses which are held on a monthly basis by the expert Association instructors. During the summer, the place to be is the high mountain terrain, enjoying climbing adventures on the Adamello Group, as well as on the Brenta Dolomites, the Upper Mello Valley and the peaks of the Presolana. If you wish to enjoy this extreme sport, the Garnì Pegrà hotel will provide all the information you may need.